Daniil Kvyat’s Hungarian Grand Prix weekend deteriorated after qualifying with the handing down of a three-place grid penalty for blocking during Q1. Kvyat was found to have breached article 31.6 of the sporting regulations by unnecessarily impeding Lance Stroll at the end of the first segment of qualifying, for which he was also slapped with one penalty point on his superlicence, bringing his total to 10. Accruing 12 points in a 12-month period attracts an automatic race ban. Kvyat was under instruction to drive at a greatly reduced pace after he spun his car off the track and damaged his tyres, causing the car to vibrate at regular speeds. On his way back to the pits he was approached by Lance Stroll, who was on his final hot lap, and though the Russian attempted to get out of the way, Stroll noted on team radio that he had been blocked, and the stewards opened an investigation which culminated with a guilty verdict. 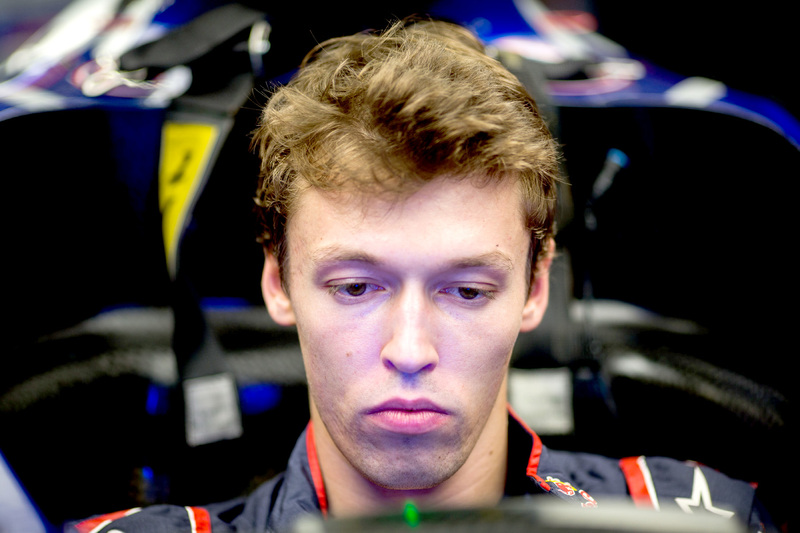 Kvyat said he didn’t believe he deserved the penalty but would respect the stewards decision. “Unfortunately we had a miscommunication with the team and the team didn’t tell me anyone was coming,” he said. Kvyat has had his fair share of run-ins with the stewards this season, including infamously at the Canadian Grand Prix, where the wrong penalty was applied for falling behind the field on the formation lap. The stewards decided to apply the correct penalty on top of the incorrect one, which Kvyat described at the time as a “stupid circus” and had him intending to talk to race director Charlie Whiting about it. In Hungary, however, his latest penalty appeared to have extinguished his will to fight. “I don’t care anymore,” he said. “I don’t see any point [of talking to the FIA]. Kvyat’s penalty compounds his already underwhelming qualifying performance in the face of his teammate’s top-10 classification, and the Russian believes only an unusual race can save his penalised race. “With these three places of penalty only if something different happens in the race do we have any chance, otherwise I don’t really know what to expect,” he said.